Full time RVing certainly has its challenges. Read these can't miss tips by a couple who recently decided to visit all 48 of the lower United States. Most 23-year-olds know relatively little about RVing. A few months ago, I knew absolutely nothing about RVing either. But after three months of full-timing, I feel like I’ve learned so much! Here’s what I wish someone told me before we decided to hit the road full time in an RV. 1. You don’t need the biggest rig. When my husband and I decided to take a 50 state road trip, our first thought was to get a truck camper. It seemed like the most economical of all the RV classes. Then we realized that would be a HORRIBLE way to spend a honeymoon. 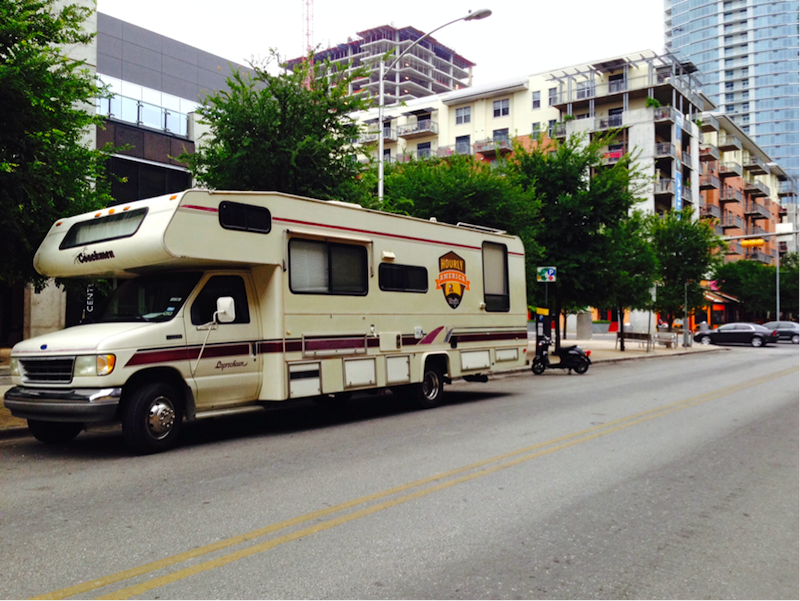 Our rig, Franklin, in downtown Austin, TX. We started looking at Class C’s to give ourselves a little more space and ended up buying a 29’ rig. Now that we’ve been on the road for a while, we wish we’d chosen something a little smaller that would be easier to maneuver into campgrounds. 2. You don’t need half of what you think you do. We hit the road four days after our wedding (a horrible idea in retrospect—talk about stressful!). 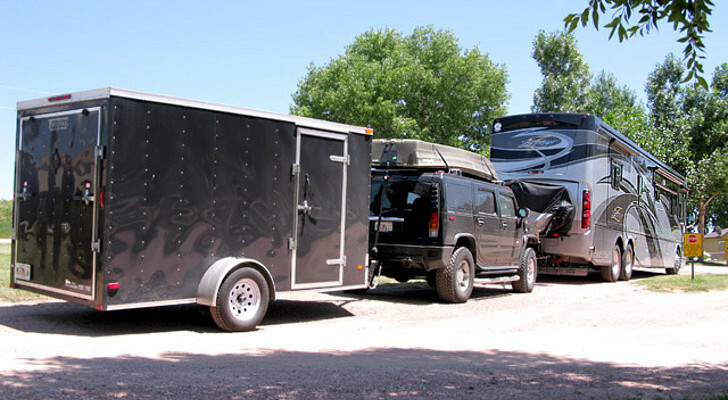 This meant combining the contents of both of our apartments – plus wedding gifts – and fitting it all into one RV. We put most everything into storage, like clothes, shoes, books, and appliances. After one month, if an item hasn’t been used, we get rid of it. These items include throw pillows, extra bedding, dishes, etc. The entire space under our bed is filled with all the things we didn’t need that were cluttering up our cabinets. We probably haven’t needed half of what we packed. 3. You’ll learn how to clean. Sometimes when I walked into my husband’s apartment before we were married I worried deeply about our future. There were dishes piled in the sink, an unswept floor, and laundry piled in the bathroom floor. I wondered if this would be the source of a perpetual fight of ours. 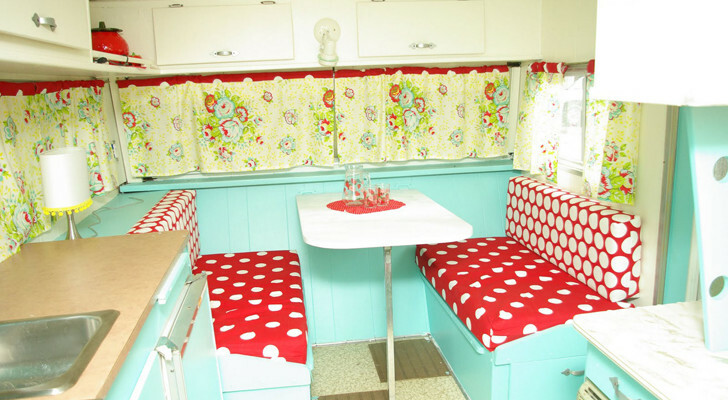 But in an RV you can’t afford to be messy. You’ll have to clean multiple times a day, from washing the dishes and wiping off the countertops to sweeping the floor and tidying up the trash. My husband can clean circles around me now, and even washes the dirtiest of places – like our bathroom. 4. When Google Maps says you’re 3 hours and 45 minutes away, it’s probably more like 5 hours. Driving an RV is nothing like driving a car. You can’t swerve through traffic and you can’t just fly down the interstate. Especially in a 20-year-old rig, you’ve got to take your time in getting from point A to point B. Since we’re trying to make it across the lower 48 in seven months, we do keep a fast-paced schedule. If I had known how long driving could take in an RV I would’ve planned more time so we could enjoy more sites along the way. 5. Something will always be broken or in need of repair. Tell me I’m not alone in this: There is ALWAYS something wrong with the RV. Even if it’s just that the light bulb in our kitchen doesn’t like to stay on. Maybe it’s because our RV is on her way to crossing the lower 48 states at the ripe age of 20 years, but there is always something wrong. Even when I think nothing is wrong, I realize that our sink still leaks water onto the countertop and our jacks still won’t go down even after we fixed our battery. By now, we know that pushing the red reset button on the power outlet will turn the fridge back on after a lightning storm and we know NEVER take a screw out of something unless you plan on putting it back. 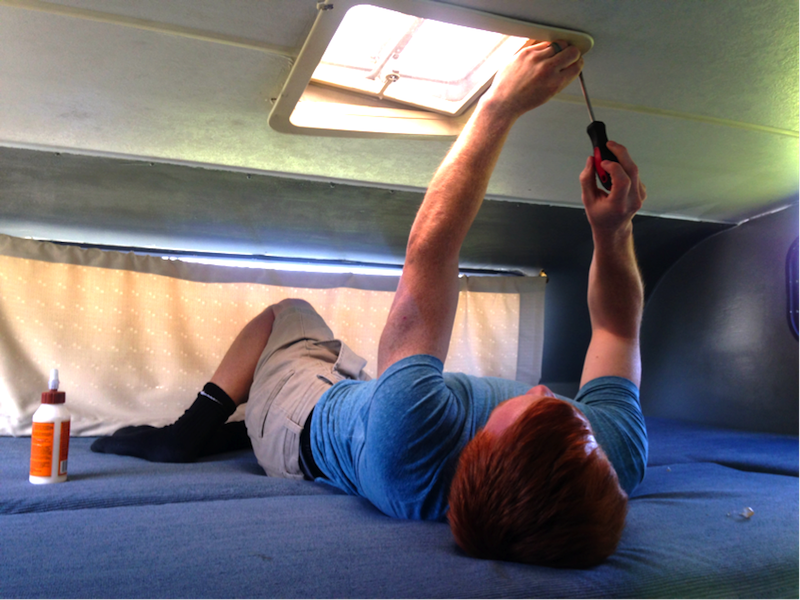 As you RV you’ll learn how to fix the little things and know when to just take her into the shop for a little TLC. 6. It’s good to take your time. This is as true for RVing as it is for life. Since I work on the road, sometimes my schedule isn’t flexible. But when it is, you get to explore things on the road you might not see otherwise. My husband and I call them “scenic lunch breaks” – where we find the best place to pull over during a day of travel and explore a little bit. 7. 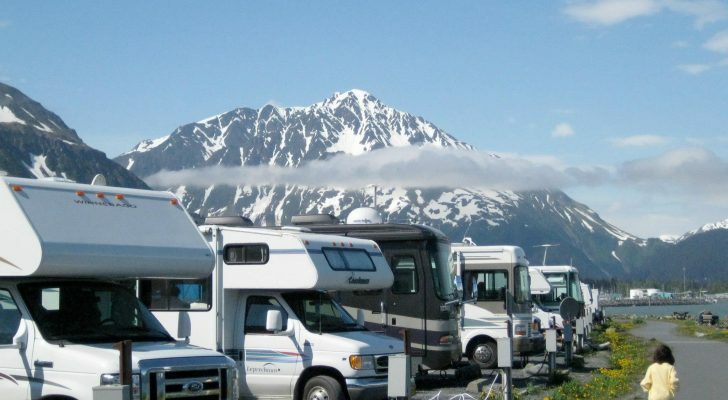 Take advantage of RV rewards and discount programs. I couldn’t full-time RV at my age if it weren’t for Passport America and Good Sam. I’m usually skeptical of discount programs, but these two pay off. My Passport America membership paid for itself within a week of the purchase. It took a little while longer for Good Sam to pay for itself, but 10% off is always better than full price! 8. Not all Walmarts are created equal. Twice in our travels have we tried to stay at a Walmart. Sometimes we end up in a city where there’s a fair in town or the Sturgis Rally is rolling through, which forces us to seek safe boondocking locations. The few times we tried camping out at the local Walmart, signs stating “NO OVERNIGHT CAMPING” greeted us. This isn’t always the case, so be sure to ask a manager inside the store before camping out for the night. 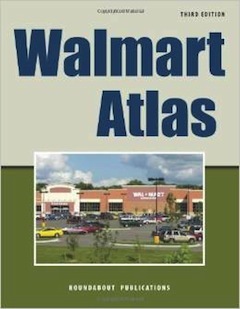 Check out this book if you want to know which Walmart’s are RV friendly. 9. You can’t find good Mexican food just anywhere. I’m from Texas, the land of the best chips, queso, and margaritas in America. I really wish I knew great Mexican food isn’t plentiful across the country before I hit the road! I would’ve packed more tequila and salsa. 10. RV park people are the most helpful people around. After camping in the Grand Tetons for a few nights, my husband pulled over at the dump station to empty our tank. 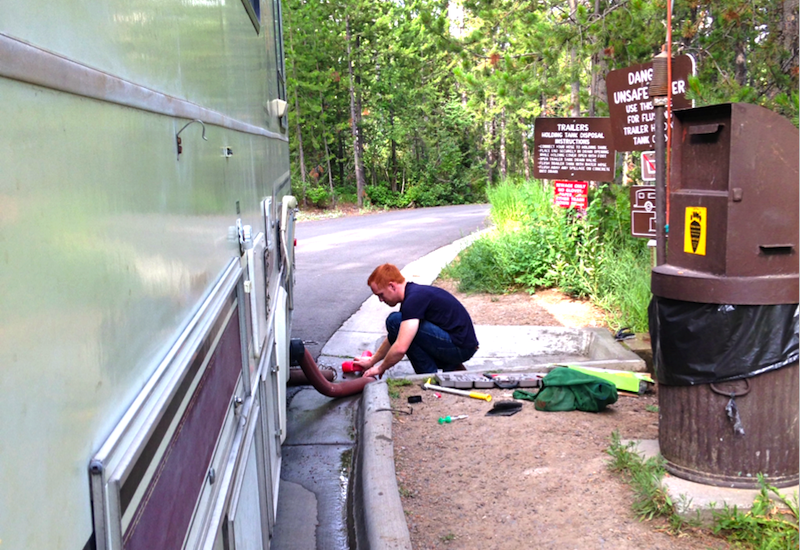 Replacing an RV waste water hose on the fly. As you know, this isn’t something you can just put off doing during travel. As he pulled out the hose, it broke in his hands. Snapped right into two pieces. A man at the dump station in front of us came to the rescue teaching my husband how to replace the hose, something that would’ve been nearly impossible to learn on his own in the middle of a campsite without cellular reception. 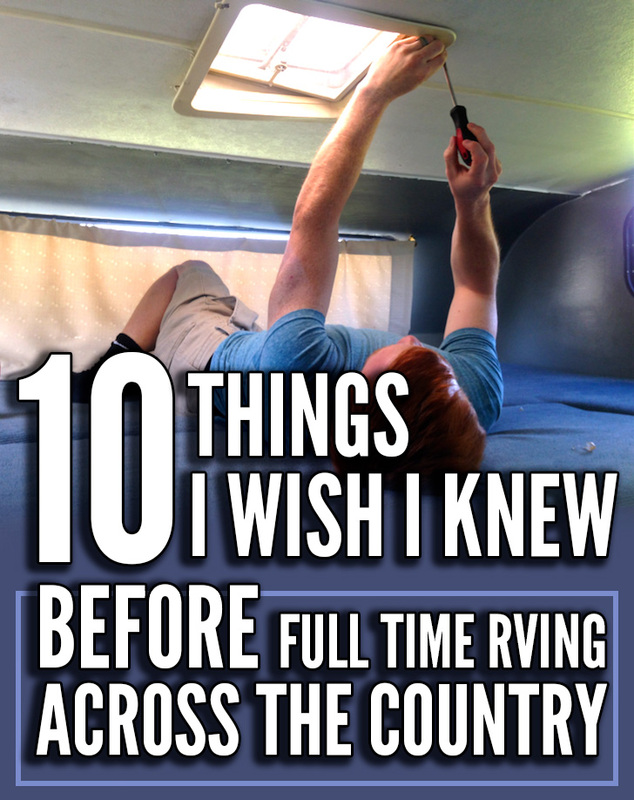 These are the top 10 surprising things I wish someone told me before I started RVing full time. What would you add? Thanks for the tip about Cabela,s! I disagree with your assertion that smaller RVs have a lot of problems. The more bells and whistles you have, the more problems you have.HOw would a bigger rig use LESS gas? Your comment seems like it’s personally directed at the author because what you wrote doesn’t make sense and its unnecessarily mean. Looks to me they did a pretty good job and learned a lot, while managing to keep a positive outlook on things and provided some experiences and lessons learned for others to see. There’s no room or reason to criticize what they’ve done. I am a germaphobic !!!! Wear disposable gloves and don’t touch anything else but the.connections etc to dump with those gloves!! Be sure to rinse the area down & leave it clean for the next RVer. The shoes worn for this job are NOT welcome anywhere else near my coach!!! A solid pair of Ducks shoes work great, slip on & off easily & can easily be disinfected at the car wash with a good quality bathroom disinfectant. Lost count how many RVers I’ve watched dump & be meticulous, careful to do everything right & then stomp into their rig wearing the same shoes they were just standing in, in 2″ of someone else’s sewage!!!! YUCKY!!! 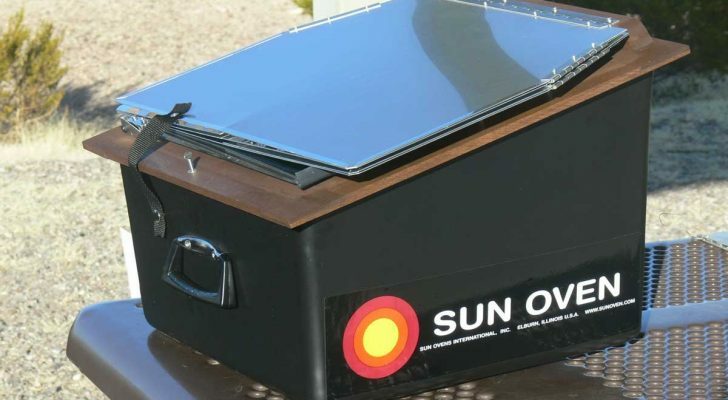 I have a 2001 roadtrek popular class b motorhome and I need to change out the a/c unit. I cannot find any info. on how to go about it, can you help. You are correct about your first reply. We’ve been full time for 5 plus years. 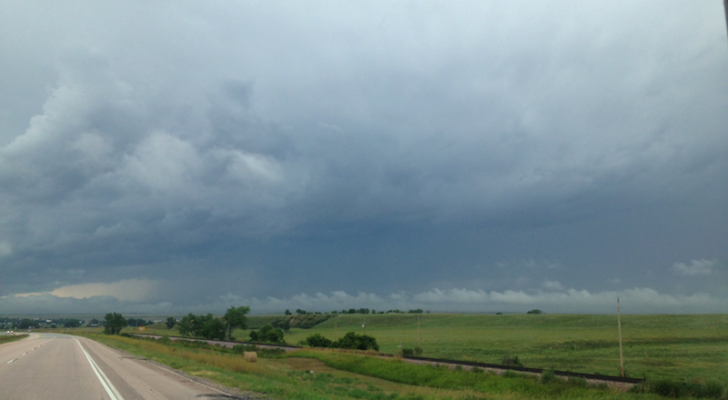 Smaller is better if you plan to see anything other than an RV park on the side of the highway. You will miss many of the outstanding national forest, state forest, BLM, and Army Corp of Engineers rustic camping sites that are available and are the most spectacular in our country with an oversized rig. We drive a 24 ft Dodge Sprinter Based Class B Motorhome with a 3.0 L Mercedes Diesel engine that averages 20 mpg’s at 70+ mph and 24 mpg’s at 55-60 mph. It fits perfectly in a regular parking space in any city which is very convenient. We also have a rack on the back that we carry a 250cc scooter on and when we are at base camp we use the scooter to explore our surrounding. The scooter gets 75 mpg and between the two you can’t beat that fuel economy on the road. The Class B has everything we need and more. I would never go back to the gas hogs and lack of seeing the real camping area’s of our country in the remote camps, and being forced to park in a parking lot RV Park next to another 40 footer. You might as well have a house at that point. I think you didn’t do enough research before embarking on your adventure and are committing many of the newbie mistakes who haven’t researched enough. In ref. to #1 a small RV has many problems, get a larger RV and pull a car. Driving around in a gas hog is not economical, leave the rig at the campground and explore with a economy car. FYI, the longer you live in a RV the smaller it gets. That also take care of #2. If you can’t manuever a 29 ft camper around a campground then you have some driving skill problems. #4 seems again like a driving skill problem. Going from place to place is usually on a freeway and a RV can easily keep up with traffic, I find Google maps and/gps to be fairly accurate (usually within 30 minutes). Finally #10 yes RV people can be very helpful and it seems you need a bunch and have a long way to go in learning. overnight parking can be a problem, most casinos allow it, some have parks and one even had limited number of free hookups. We crossed the country twice in a twenty year old RV but even with our new one you have to expect the unexpected, don’t panic, and use the time to explore if you get stuck somewhere. Thanks Ned, sounds like a fantastic rig you have. 40 foot, now that is traveling in style for sure. the tucson VA has a small space for RV”s . i don’t know the rules . like u can stay if u have a relative in the hospital or not. Good article but disagree with number 1. We started in a 24 ft MH, later moved to a 34 ft MH, now w’ere in a 40 ft Diesel pusher. Would ever go back to something smaller. We do tow a Honda CRV to run around in. This is our home and the space in the 40 ft is outstanding. Jacob, I love that you wrote this and it will be how I do my journey this year! I hope more people get to explore the freedom that comes with following ones heart and intuition. I am prepared for many things on the road, yet have no concern that I can’t learn and figure it out on the way. My husband and I have had good luck parking our motorhome or 5th wheel along the access streets to motels /hotels near the freeway. Many times there are small clusters of 3-4 motels, a burger King, and a Denny’s restaurant near a truck stop. We just pull in on a side street near a hotel. Stay away from the access road to truck stops, they are too loud. Thanks for the update Vicky, that’s pretty neat they have dog pens. wanted to let everybody know that Cabelas sporting good store now lets RV’ers stay on their property. they even have dog pens so that you can exercise your dogs. True, they are far and few between, but just another option for us. Re: #11 above…I don’t know where people get these ideas about the police NOT being able to enforce laws on private property, that is simply not true. Cities and counties have the right to regulate what kind of activity goes on for a property, private or public (it’s called zoning)and the police enforce laws on private property. Don’t believe me? Try to open a neighborhood bar in your garage. Can you vandalize a business in front of a cop? Can you break into a business at night? Can you get into a large brawl in a parking lot without the cops getting involved? I could go on and on about the police enforcing many laws on private property…but the bottom line is many towns and locales have ordinances about Public Camping and the police can and do enforce those laws, with or without the consent of the business management. Don’t take a chance, ask first! Sorry, but that isn’t true. Towns can pass laws that affect private property – and do it all the time. 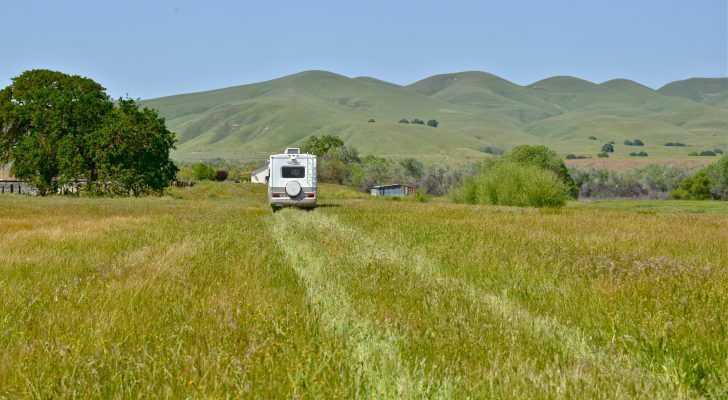 How long your grass can be, keeping an RV behind your house, etc. 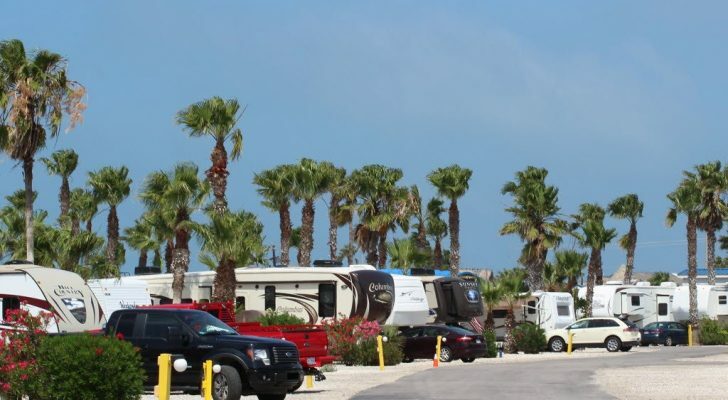 They can dictate that RVs can’t stay on parking lots like Wal-Mart. That said, we’ve had issues at Wal-Marts, like kids doing burn-outs up the row of RVs at 3 am. We much prefer truck stops now. Any good camp ground will send you an employee to help you back in. If you have problems backing up a 30 Foot rig you had better not go. You need to get some practice. Thanks for the detailed listing of tips Doran, those are great things to keep in mind for sure! Yep please do yourself a favor and get a box of nitrile gloves. I hope you know by now to do a pre-check on your mechanicals before you head out on the road every morning, you now the oil, belts, hoses, antifreeze/coolant and tires and this is the short list. Have a tire plug kit on board? with even a cheap air compressor it will save you a huge head ache out in the middle of know where and most important a very good first aid kit. Check your air filter frequently. When you check your oil rub some off the dip stick and feel it and yes smell it. If it is watery or smells like fuel you have or are about to have a major problem. Did you check the mileage before you left because you might be due for an oil change already. I want you to have fun and I want you to be safe. If you had the VW camper setup yeah I would be a bit more care free as well. If you have not take time to check out the Good Sam club they are awesome people made up of long time RVers Everything I just wrote you may already know and I do apologize but better safe than sorry but HAVE FUN DARN IT and get off the beaten path when you can. Thanks for your comment and advice Maggie! good article. 3 years full time. Keep copies of your article to give to curious campers. We didn’t stay in campgrounds very often. RV people go in to watch tv after 6. It was lonely. Be sure your best friend and copilot likes to talk to you. It’s definitely like an earthquake! I’ve had no problems with the cutlery, but I have had DVDs fall in my face! Wow, good to know! The Walmart we tried in California told us the police come by and check the parking lot throughout the night and that we would be asked to leave. Had no idea that it could be a fine! Thanks for the link Janne! Here is a website that will give you a free list of all Walmarts that allow overnight parking and which one don’t. Actually you need to know nothing before you leave off. I travel through Europe with my wife in a small vw t3 camper. It’s like a holistic trip. We trust that all we need to know will be revealed to us along the way. Just stay curious and learn new tricks with every mile you go. Thanks for the detailed insider info Christopher. It’s too bad we can’t use certain government property, they’ve got some of the nicest / largest spots around. I did some research. MOST but not ALL Walmart or Home Depot or even Big-K allow overnighters. The determining factor seems to be that if the business does NOT own the land under itself, then it falls under City/County ordinances which may not allow it, whether there are posted signs or not. Typically this happens in more financially well-off locations. Places where the money “Haves” don’t really want the “HaveNots” lurking around. Granted most of the so-called HaveNots aren’t causing anyone any problems just by being there…but there are always that “Bottom 5%” who act like fools and ruin things for the rest of us. Example A: Rohnert Park, CA has a fairly large shopping area inclusive of both a Home Depot and a nearby WalMart. On the Depot end, there arent any “You Cant Park Here” signs posted, however there ARE live cameras and signs informing you that you’re activities are being recorded. This doesn’t exactly send you a Better Move On message…but local police will chase you out of there. On the other end at the WalMart, there ARE signs No Overnight Parking. The police nearby that I have encountered have at least been polite about it, and not automatically busting out their ticketbooks. Apparently its a $100 fine. Yet most of the campgrounds (KOA etc) are running around $65/night…so if you’re just wanting to save a buck, I suppose you take a risk that MAYBE your stay will cost you nothing, OR maybe you’ll have to pay that $100 at a future date. A military veteran like myself cannot even park overnight at the Veterans Memorial Building (which typically has empty parking space for 200 RVs go figure, for the same reason. I pulled in on a Monday afternoon because I do volunteer work with the Sonoma County Vet-Connect which hosts activities Tuesday Mornings, and even after mentioning that to the lot security person, it didn’t matter. Apparently vets used to be fine in there, but again a few bad apples ruined it somehow, so the city isn’t having it. So much for FREEDOM eh? And there its not only a matter of a fine, they’ll tow you away….likely because that’s how Towing companies make money. unverified, but I believe same issues. Going North on the US-101 up from Santa Rosa things start getting a bit easier. I wouldn’t even try anywhere near Napa…I’m sure the only RVs near there are parked physically up on the sides of rich-folks houses…you know, the ones that are likely very rarely used at all. And on the south…stay a few towns away from San Luis Obispo, in nearly any direction. The Big-K south of there in Arroyo Grande is OK, but the WalMart just a few blocks North of it is NOT. trips away. Remember it is like a moving earthquake for your Rv as you drive around so things will break. 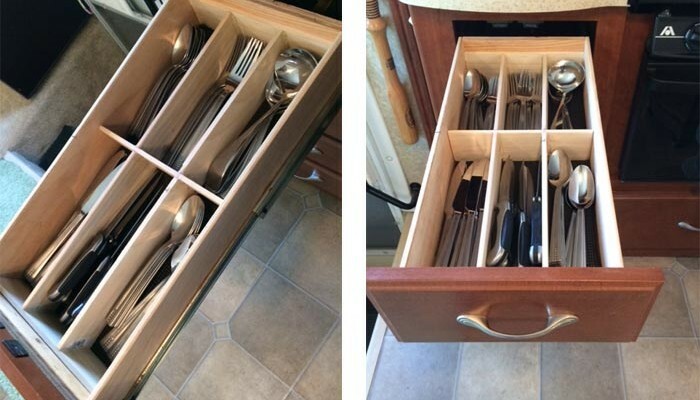 Have u had your cutlery draw fall out yet? Have fun keep it up and make sure u have a candy tin. 9 is so true and 11 bring tissues for you tears every time you frequently stop at the gas station. Plus fill up when you get a chance. About staying in Walmart parking lots. Yes, a lot of towns don’t allow it and put up no parking signs. However, Walmart does not mind. The city cannot uphold that law in a private parking lot like Walmart. We’ve parked at several Walmarts with No Overnight Parking signs and have never been told to leave. The police can’t give you a ticket on private property so it’s just a bluff that most people don’t know about. Hope that helps you for future overnight stays! I thought all your “wish we knew” things were spot on. We knew some of that before we started out and learned most within a short while! Whenever doing dumping of waste from your RV…..wear GLOVES! I noticed from the picture your husband is not…..please wear gloves.